Ms. K S Jyothi is the Vice Principal at The Samhita Academy. 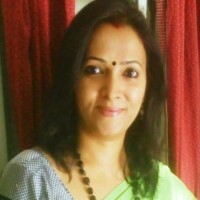 She is a passionate educator and teacher trainer with over 17 years of experience in the field of education at schools. Being part of the educational reforms and working closely with all stake holders has been a learning that she finds very valuable. Her other area of interest is designing creative learning programs. Learning more about how children think & learn and a peep into their world through conversation with her sons is her all-time favourite past time.